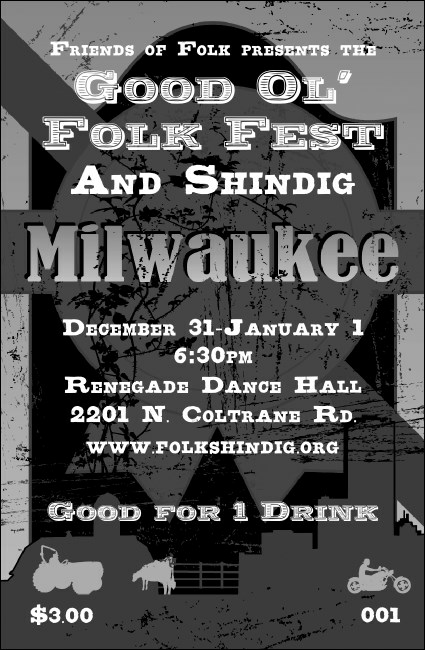 It’s time to give them Milwaukee’s best! In a town that knows a thing or two about brewing great liquid refreshments, it’s an excellent idea to use the black and white Milwaukee Drink Ticket at your next event! This affordable ticket is perfect for local events, features individual numbering and room for a custom image upload! This ticket’s design is available on a matching event kit through TicketPrinting.com.